Selling A Business? Just Do The Job Properly! Selling a business can be an absolute minefield, with vendors having to overcome many obstacles. First, the business owner has to very carefully analyse the reasons why they are considering selling their business, and then ultimately take the decision to leap into the abyss and actually begin the process of placing the business on sale. The decision to sell can be extremely difficult, as good businesses have been carefully nurtured by their owners, often over many years, decades, or even over several family generations. Any business is a precious asset to its owner, and deciding to dispose of that asset is often a very emotive decision; not a decision to be taken lightly. Having taken that life-changing decision, the vendor then has to source a reputable Business Transfer Agent to get the job done. Most regrettably, this is where the difficulties often begin in earnest. It is a sad statement of fact that the Business Transfers industry is very badly tainted by the shoddy, unethical, and often borderline illegal, practice of a large number of our direct competitors. On a daily basis, we encounter horror stories from unfortunate legitimate business owners who wanted to sell their business, but have fallen victim to sharp practice, high-pressure selling techniques, total lack of customer service, and often the threat of legal action from one of our many industry ‘colleagues’. This can be life ruining and is, of course, totally unacceptable. Most Business Transfer Agencies send out a representative to value a business, with the intention of taking instruction to market the business for sale. This representative is on well-paid commission for each business that he or she signs up; they will employ very high-pressure sales techniques, often significantly over-value businesses, guaranteeing a quick sale, promising clients the earth etc., in order to get a signature on a contract and a large fee. One could call these people Double Glazing salespeople, would that would be doing a terrible disservice to that much-maligned industry! The vendor will never see, speak to or hear from that representative again, and will be – at best – dealing with someone in an office somewhere, with no vested interest in securing a sale for their new client. We often hear stories whereby the company involved has never even contacted the client once the business is on sale. Many of our competitors earn as much, or more, from their clients by failing to sell their business and threatening – or taking – legal action once the vendor attempts to cancel their contract with the agent once they have realised that they are never going to sell the business, and are not even trying to do so. We recently received information that one of our closest competitors takes to court for breach of contract, on average, 150 clients each year. That’s 3 per week! We are very proud of that fact that, in almost 18 years of selling businesses, we have never taken a client to court. This is because we do the job properly, and are paid when we succeed. Anyway, enough about the competition. 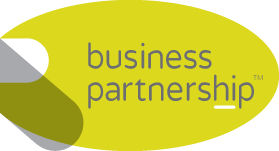 Here at Business Partnership, we are very different. We are invested in our clients from the very first contact with them, right through to the conclusion of the sale of their business. We are with our clients every step of the way. I will personally meet with a potential client to discuss and agree with them the market valuation of their business, and provide a written breakdown of our fees and the work that we will undertake for them to introduce the business to the market, locate a purchaser, and take the sale through to completion. Everything we do is done with absolute clarity, openness and honesty. We do exactly what we say we are going to do, and we do it when we say we will do it. We are unable to definitively guarantee our clients a sale, but we are able to guarantee the level of service that we will provide. This guarantee is honoured in every single case, without exception. If a business remains unsold, we are able to guarantee that it is not because we have not done something we could, or should have done. If a business does remain unsold, it is simply because there is not a suitable purchaser in the marketplace at the appropriate time. Even so, we will continue to try for an unlimited period – many businesses are sold after a lengthy period on sale; sometimes many months or even years! Here in our Sheffield office we have a very high success rate and, providing a business is valued realistically and marketed effectively, there is a high probability that we will successfully source a purchaser for our client. We sell businesses because we do the job properly! It is vitally important, therefore, that business owners wishing to dispose of their asset in South Yorkshire and the North Midlands choose an agent with extensive experience and outstanding track record.